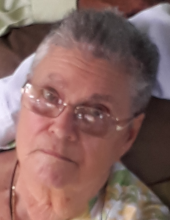 Relatives and friends are advised of the passing of Rose Evelyn Lafontant who passed away on August 7, 2018 in Florida at the age of 78. Relatives and friends are respectfully invited to attend the viewing on Friday, August 24, 2018 8 a.m. – 9 a.m. at the Celestial Chapel - Hurley Funeral Home. Mass of Christian burial will follow at 9:30 a.m. at the Sts Peter & Paul Cathedral. To plant a tree in memory of Rose Lafontant, please visit our Tribute Store. "Email Address" would like to share the life celebration of Rose Lafontant. Click on the "link" to go to share a favorite memory or leave a condolence message for the family.